Are you planning to spend your Easter vacation in France? If you would like to find out a few information about Easter traditions in France before traveling, you’ve found the right article. Below I will present you some facts relating to Easter traditions, traditional food, Easter games and religious ceremonies. France is predominantly a Roman Catholic country. Thus, the significance of Easter, the crucifixion of Jesus Christ and His resurrection is commemorated all over the country. Christians go to church on Palm Sunday to commemorate the arrival of Jesus to Jerusalem. This also marks the beginning of Holy Week during which occurs Maundy Thursday (the day of the Last Supper) and Good Friday, the day when Jesus was captured and crucified. 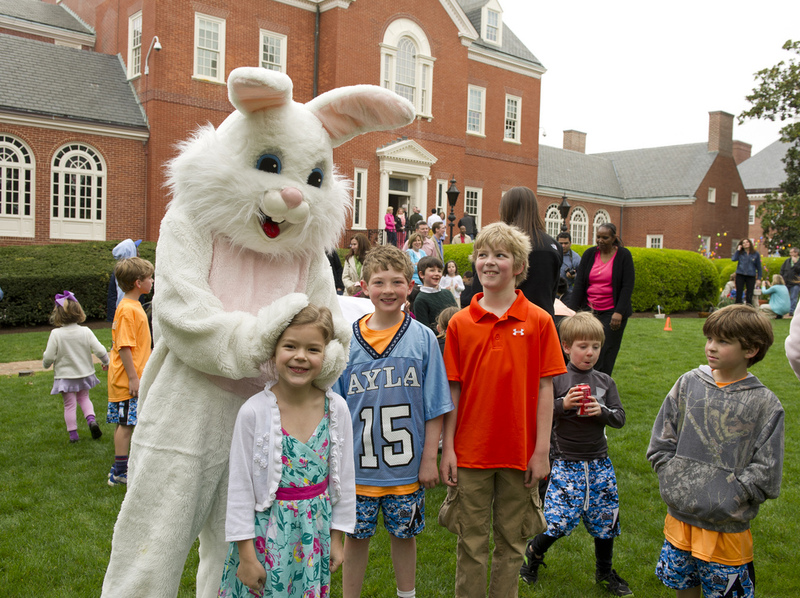 Read the following guide to find out more about Easter traditions. There are several traditions in France relating to Easter. Most of them are religious traditions which include going to church during Holy Week, especially on Maundy Thursday and Good Friday, on Easter Sunday and Monday. The churches’ bells are silent on Maundy Thursday which is some kind of acknowledgement of the death of Jesus Christ. On Easter Morning the bells ring again to celebrate the Resurrection of Jesus. In some French villages people hug and kiss each other to celebrate that Jesus is alive again. Easter Monday means fun for children. 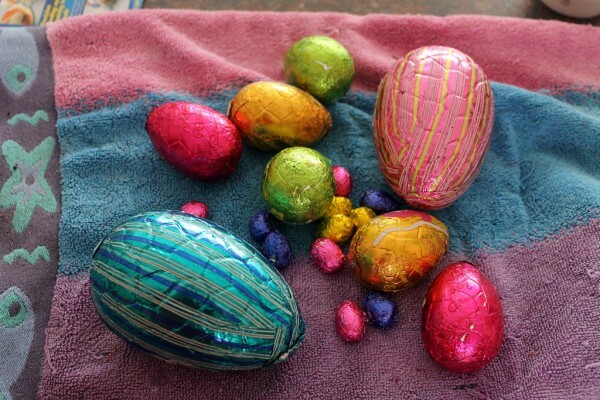 They are told that colorfully decorated eggs are sent from Rome and hidden in their gardens. Children are looking for the eggs happily. Then, the whole family celebrates together. Lamb is a popular food in many countries during Easter season. It is also famous in France. Skewered or roasted lamb is a usual dish during Easter. The “leg of lamb” is called “gigot d’agneau” and the skewered lamb is “les brochettes d’agneau” in French. So, if you are going to a restaurant, ask for these dishes. 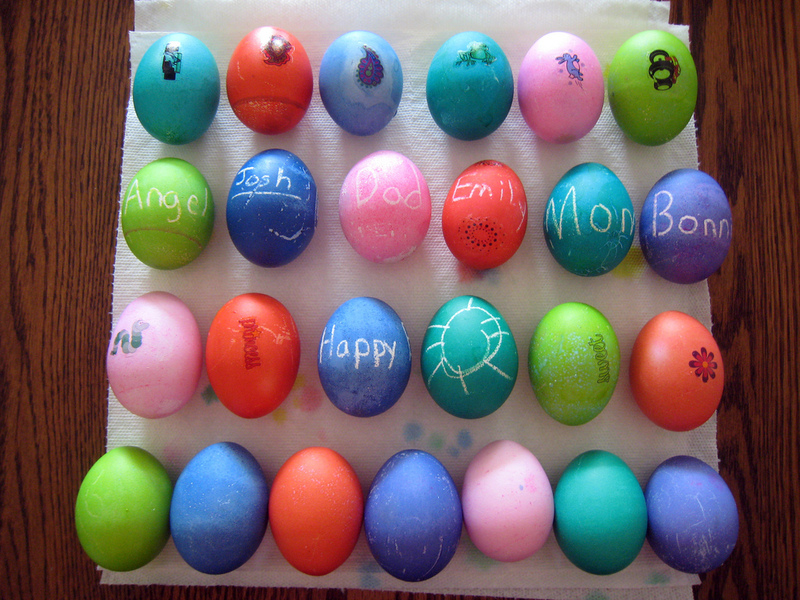 Eggs also play an important role in Easter dishes. Omelets and quiches are popular among French people during Easter season. For the little ones chocolate is a highlight of Easter. From chocolate eggs to chocolate fishes (Poisson D’Avril) and chocolate “flying bells” (Cloche Volant), there is a huge variety of goodies in France. As a major symbol of Easter, egg also plays an important role in different Easter games. Children toss raw eggs in the air for example. The one who drops the egg is the loser. Also raw eggs can be rolled down a gentle slope. The egg which does not break is considered the victory egg, symbolizing the stone which has been rolled away from the tomb of Jesus Christ.